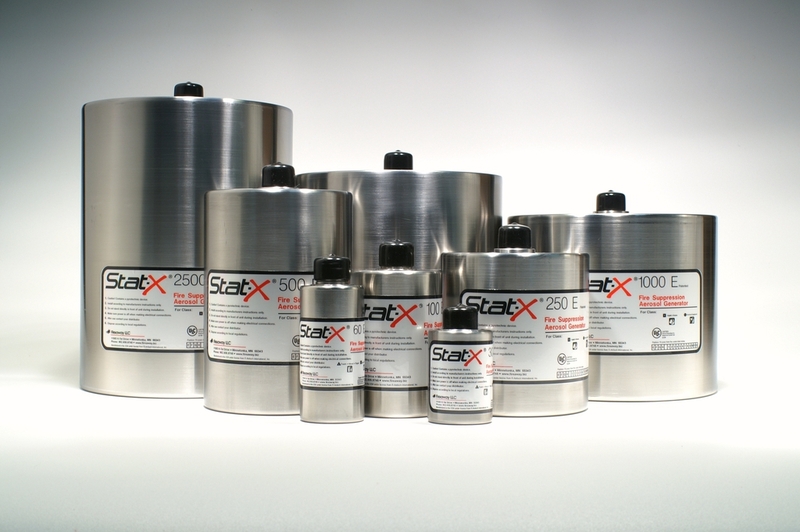 To combat the danger of fire in the plant and machinery industry, Nobel Fire Systems provides a range of advanced automatic condensed aerosol fire suppression systems called Stat-X. Approved by Allianz Insurance for mobile plant protection, Stat-X has undergone extensive testing with UL, ULC and others for land-based applications. The robust generators are eco-friendly and non-toxic, and are saving lives and protecting property around the globe. Capable of being manually, thermally or electrically activated by industry-standard control panels, the Stat-X system allows easy, cost-effective installations for all types of applications and the technology requires no pressure vessels, manifolds, nozzles or pipework.